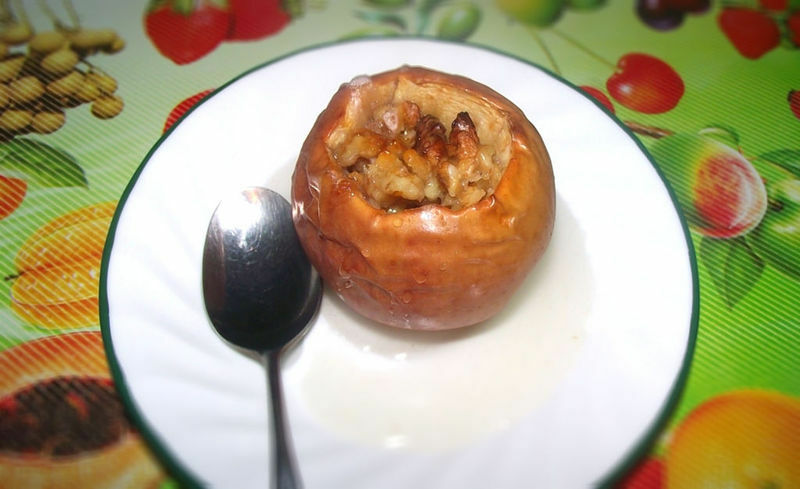 Home » Recipes » Healthy Fall Dessert: Baked apples with walnuts, honey and cinnamon. 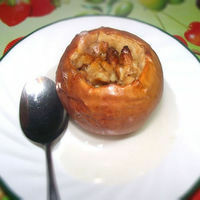 I am cooking these apples since the time I remember myself cooking. My Daddy cooks these apples in red wine, but, let’s not get too crazy here. I’m on a quest for a healthy, kid-friendly dessert. I donât use sugar, caramel or anything unnatural in this dessert. Itâs sweet, delicious healthy. Your family members will LOVE this desert because combination of the ingredients is amazingly delicious. You will like this dessert, because it is healthy and doesnât involve sugar. Rounding up your Thanksgiving favorites!